For many years, the only way to finalize an agreement was by putting the pen to paper and printing your signature in ink. While some people still use these outdated methods, others find it a hassle and a waste of paper. Stay up-to-date with the times and use our Fill Any PDF software to sign documents online from anywhere, at any time. IS AN ONLINE SIGNATURE A Valid Way to Sign a Document? Recent advances in technology have made it possible to use an online signature on business papers and other legally-binding digital documents. 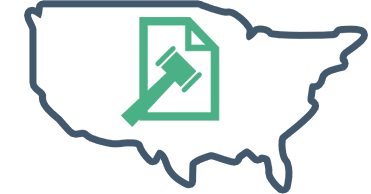 All 50 states view a digital or a computer signature as a valid way to sign a document, and this method can offer unique benefits that aren't readily available through printed-on-paper agreements. Tired of printing and scanning business documents to sign? Looking for an efficient alternative? Create a digital signature online with us. We bring to you the best digital signature solutions. Easy to use, you can electronically sign documents and share them with your contacts. No fuss, no hassle. You don’t need to spend substantial amounts on printing paper! Our online signature maker is easier and faster than other tools! It also works smoothly with smart phones. Learn more about its features before signing up! Anywhere you go that offers access to the internet is a potential venue for a legal signing. Our security features are here to protect you wherever you go, whether you’re signing from a laptop, tablet, or mobile phone. Furthermore, by using Fill Any PDF, you can also allow other people to fill out a form or suggest edits to a document before they add their own online signature. This process is much faster, greener, and more effective than printing everything over and over again. WHAT ARE The Benefits of Cloud Signatures? People who aren't familiar with the use of an online signature to sign documents online are sometimes nervous about the process, because they don't understand the security inherent in an electronic signature. The truth is that these documents are quite secure because of a specific mathematical footprint used to identify the person who sent the document. In fact, the security is so good that it makes the process very difficult to falsify or imitate. When you sign documents online, each e-signature can be time stamped, so that you have a record of the moment when each person signed the document. Our tool is tested and proven, and it is very simple to use. By using our editor to sign documents online, you can save time and money at the same time, making it easier to grow your business. Contact us to learn more about the benefits that you can gain by using our low-priced online signature tool. 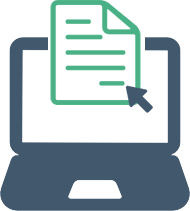 Fill Any PDF is the lowest priced PDF writer on the market, and we have thoroughly tested the application to make sure that you have access to top-of-the-line features each time you use our tool. For a low monthly fee, you gain access to a number of high-end features that are only available through larger companies. Contact us today to learn more about the ways that you can edit PDF online.